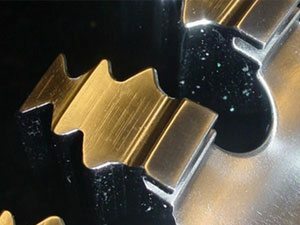 If you are looking for a solution with the capability to shape and finish your components in a single pass, our Extrude Hone™ Electro-Chemical (ECM), Precise Electro-Chemical (PECM), and Abrasive Flow Machining (AFM) processes will provide the high-precision results and production efficiency you need. 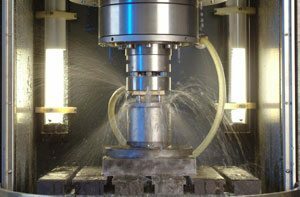 Using a cathode as the tool, both ECM and PECM processes machine workpieces by dissolving the metal electrolytically rather than cutting metal using hardened tooling. These contactless technologies are ideal for use in high-volume production and for highly precise parts. Our AFM process, which applies an abrasive media to surfaces at high pressure, provides targeted, highly repeatable radiusing of component hole intersects, slots and edges. Contouring / Shaping: Creates a pre-defined irregular surface profile. This is accomplished through mapping of the cathode geometry into the workpiece. Drilling: Creates connection holes either internally or externally. Radiusing: Generates continuous, true-edge radii or round-edge radii. EXTRUDE HONE PRECISION SHAPING PROCESSES. Our ECM and PECM processes provide a high level of precision on components that are difficult to manufacture by conventional methods. Both can be employed in the machining of virtually any type of metal including high-alloyed nickel or titanium based metals. 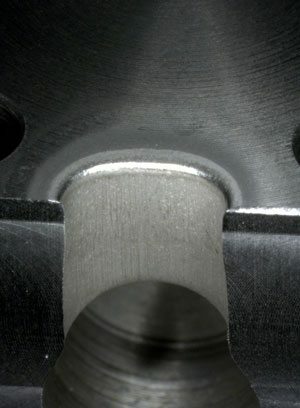 Because the cathode never comes into contact with the workpiece, little or no tool wear is experienced. 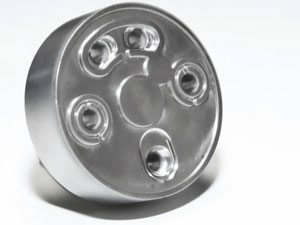 Additionally, the ability of our shaping processes to eliminate mechanical and thermal stress load in the part provides a longer life for end products. Precision, cost-effectiveness and reliability…three compelling reasons to consider Extrude Hone’s shaping technologies for your most demanding component shaping challenges.